What to expect when coming for your first visit. It is best to arrive 15-20 minutes early to fill out paperwork. To save time, download, fill out these forms, and bring them with you. If you are coming for fertility, fill out both the Adult Client Intake and Fertility Client Intake. An acupuncture session takes about 1 hour. A new client session takes about 75 minutes. A family treatment for up to 3 people takes about 75 to 90 minutes. A child Shoni-shin treatment takes 30 to 45 minutes. A new client child session takes about 1 hour. 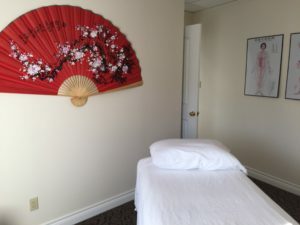 Reiki sessions are either 30 minutes or 1 hour. Cupping sessions take 30 minutes. Be aware that acupuncture can make some people sleepy. It is best to eat something about 1 hour before coming for a treatment. Wear comfortable and loose clothing that will allow access to areas below the elbows and knees. Do not wear strong fragrances or perfumes. Please turn your cell phone off before coming in. Click these links for questions about Child Shoni-shin treatments, or how acupuncture feels. Payment is due at the time of treatment. We accept cash and all major credit cards. We do not accept checks. See our Q & A page and Prices pages for insurance and pricing information. Check out our testimonials page to see what our clients are saying.